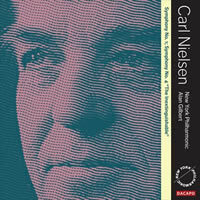 "I think in terms of the instruments themselves – I sort of creep into their souls,” said Carl Nielsen (1865–1931). 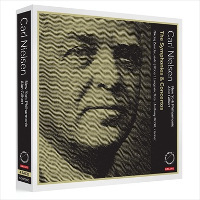 His three solo concertos for violin, flute, and clarinet are highly characteristic and expressive works that show how Nielsen developed as a composer, increasingly distancing himself from the classical conventions. 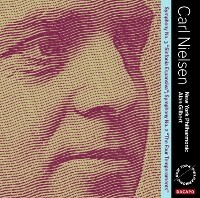 This new recording by the New York Philharmonic and Alan Gilbert concludes the acclaimed Nielsen Project with Nikolaj Znaider, Robert Langevin, and Anthony McGill as soloists in vivid live performances from Avery Fisher Hall at Lincoln Center. Many will no doubt prefer the complete boxed set, but for those who have already bought some or all symphonic separates this review may serve their interest as far as the remainder, these three concerti, is concerned. 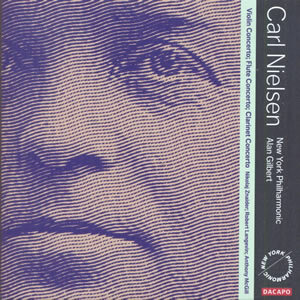 First on this disk is Nielsen’s concerto for violin and orchestra. The Danish violinist Nikolaj Znaider has been chosen for the solo part. An excellent choice. Znaider won in 1992 the Carl Nielsen International Violin Competition and in 1997 the prestigious Concours Reine Elisabeth in Brussels. Since then his high profile international solo career took off with a flying start. 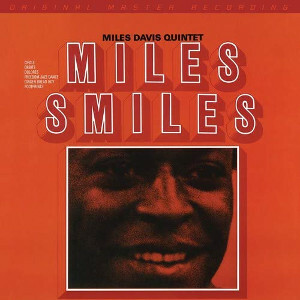 In 1999 he recorded Nielsen for EMI - his debut recording for this label- to high international acclaim. This concerto is now one of his war horses. Znaider plays a 1741 Guarnerius del Gesù violin. No wonder hardly more than three minutes into the first movement suffice to realize that we have here one of the best interpretations currently available. Better, much better, than the recent, highly praised interpretation by Vilde Frang on Warner Classics (finalist Gramophone Awards 2013). For a first rate RBCD account I would rather have gone back to the 1988 CBS recording with Cho-Liang Lin / Esa-Pekka Salonen / Swedish Radio SO. Notwithstanding a barely audible glitch (or something not entirely captured by the microphone?) in the second part of the praeludium, Znaider impresses with his moving entry. This being a live recording I think Dacapo has done well to not try to patch it up, because he went way beyond just playing the (difficult) notes, putting soul and poetic expression in his introduction, going from forte to pianissimo in such a controlled and compelling way as only the very best are capable of doing. The New York Philharmonic, under its Music Director, Alan Gilbert, play as a typical American top orchestra should: robust, precise and technically mature. But in this particular case something else has crept in: a distinct emotional feeling as though Maestro Alan Gilbert and the orchestra sense the inspirational powers of the soloist. And I would not be surprised if the audience had sensed it as well. Must be. That is one of the wonders of a spirited and thrilling public performance. This can hardly be repeated in a studio, however good the facilities and the acoustics are. The audience remains silent; the hall is laden with tension and all the rest flows from there: The lyricism of the beginning turns half way the first movement into an electrifying and lasting engagement. In the second, slow movement, the violin sings like an angel hovering above a fine-tuned orchestra inspiringly playing touching melodic lines, gliding almost uninterrupted into the third and final movement, Rondo: Allegretto scherzando, where the key words are ‘assured elegance’ and ‘well balanced decisiveness’, bringing the concerto, after 35 minutes of concentrated musicality, to a deeply felt apotheosis. For those less familiar with this concerto: It is not a work of an innovating & modernizing composer. At least not at that time. Most has been written in Grieg’s garden pavilion, building on late romantic Nordic musical tradition, the spirit of which is convincingly conveyed by all, in perfect harmony and opulent sonority, lifting Nielsen’s violin concerto into the league where it belongs: one of the top violin concerti of the first half of the twentieth century. Of the flute concerto several versions are available in high resolution, two of which with rave reviews on this site (one with poor sound), and a further one on a for many out-of-reach-super-non-budget label. Adding it all up, there is, indeed, sufficient room for one more. My ears they tell me that for this concerto the orchestral complement was a beefy one. Keeping a ‘natural balance’ between soloist and orchestra must accordingly have been ‘helped’ by way of electronics. This said the result is in no way what one would expect. There is neither an exaggerated prominence of the flautist, nor a thunderous orchestral sound wall, other than the tympani and the bass trombone, impersonating at times the predator of a happily singing bird (?). 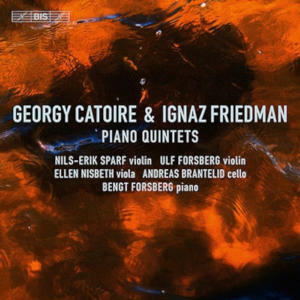 Gilbert keeps firm control throughout, reining in the strings where and when needed, switching to lively musical interplay between orchestra and soloist, whenever the roaring tympani, charged by the bass trombone seem to embark on a bird hunt. The sound engineers, following suit, framed the result in a well-balanced, overall picture. Not only in terms of grandeur is the flute concerto different from Nielsen’s violin concerto; it also constitutes a new avenue in his composing. Modernism reached Copenhagen, one might say. The concerto has only two movements (long enough for a flute, said Nielsen) and was meant to be a tribute to the flautist of the Copenhagen Wind Quintet (who gave the first public performance of Nielsen’s famous wind quintet). The first presentation of the concerto in France was most successful, up to the point that Nielsen was bestowed with no less than the Légion d’honneur! It is no secret that the French are particularly fond of the flute and I must admit that this kind of music has a definite appeal to French musical taste. The soloist in this concerto is Robert Langevin, solo flautist of the NYS. From the liner notes and Google I learn that he is a native Québécois of Sherbrooke, member of several Canadian ensembles and a prominent partner in the Philharmonic Quintet of New York. Although he did part of his studies in Germany as a pupil of the French flautist Aurèle Nicolet, he is less well known on this side of the Atlantic Ocean. I, for one, had not heard of him before. However, the recording gives ample evidence of a remarkably talented flautist, joining the ranks of Galway, Pahud and Bezaly, with his crystalline clarity. Many senior music lovers will remember jazz clarinetist Benny Goodman recording Nielsen’s Clarinet Concerto with the Chicago Symphony, Morton Gould conducting (RCA Victor Red Seal 1967, still available as RBCD transfer). This largely contributed to bringing it to the attention of a wider audience, “… even if his directness of feeling has the upper hand over beauty of line”. 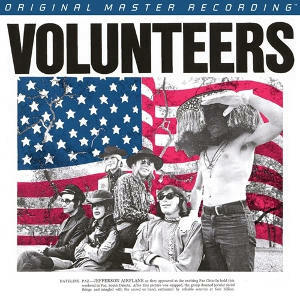 More than 20 CD recordings have since been made. In the high resolution domain there are now 4 recordings available: Fröst/Vänskä/BIS; Sundqvist/Kamu/Alba Records; the above mentioned ‘out-of-reach-super-non-budget’ version with Pahud/Rattle/Warner Music, and this one. Can McGill/Gilbert measure-up favourably against the others? This concerto, the second (and, alas, the final) in the row he intended to compose for his friends of the Copenhagen Wind Quintet, initially got a mixed reception. 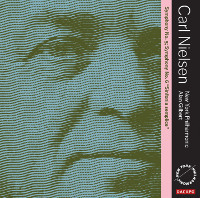 Nielsen admitted that not all was beautiful, but that he could not continue with more of the same and that he was seeking out other, more radical ways of composing. It is, indeed, full of quirky elements, alternating with melodious lines. There may also be a link with his state of mind at the end of his life which could be held responsible for delivering a mixed bag of tenderness and shrillness, notably in the solo part. Maybe it’s my imagination, but I do detect in the final movement elements reminiscent of his 4th symphony, ‘The Inextinguishable’. Like in the flute concerto, the soloist is Principal in the New York Philharmonic. But McGill is also a chamber musician and soloist in his own right, while, as a teacher, being closely associated with the Julliard school of Music. In direct comparison McGill turns out to be technically as good as Fröst, with a firm and direct approach. 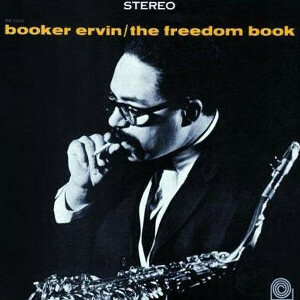 He has no difficulty whatsoever with the quirkier passages and ably brings out the more jazzy elements. I have, on the other hand, a personal preference for the refined beauty of Martin Fröst’s tone. Gilbert’s orchestral support is well judged, expertly managed and its bloom captured in all its detail by the Dacapo engineers. The violin concerto alone makes this disk an absolute must, with, as a bonus, getting the other two, expertly and convincingly played, though perhaps not quite the ‘nec plus ultra’ amongst the available choices. But in all three Gilbert and the New York Philharmonic play and sound, with the help of excellent engineering by TimbreMusic, gorgeous. Some may question the wisdom of recording in DXD audio format (which I do not); fact is that, turning up the volume a little more than usual, the multi-channel depth and the clarity of the sound stage is realistic, that the instruments are well defined and that little of the assumed bad acoustics of Avery Fisher Hall is noticeable. Bravissimo!